Budget Challenge bridges the gap between theory and reality by providing a safe environment for participants to apply knowledge and practice skills. This is why Budget Challenge delivers superior retention and why it is learning that lasts. Students even experience realistic consequences of financial mistakes such as bank fees, late fees, and damage to credit health. Many of student's costly 'rookie mistakes' are made in the simulation and not in the real world. Set students up for a brighter future with Budget Challenge. Please tell us more Let us know what organization you're from, how many people, tentative timeslots, etc. Over 90% of teachers found Budget Challenge® to be an effective way to teach personal finance. Over 85% of teachers plan to continue using Budget Challenge®. Over 85% of teachers would recommend Budget Challenge® to a colleague. 97% of teachers stated their students’ knowledge of personal finance improved by participating in Budget Challenge®. "The students really liked the competition aspect of the game. The first thing they did every day was check the Leaderboard! Keeping their Cash Flow spreadsheet in sync was a major part of the sim for us. They learned a ton." "The curriculum is comprehensive and realistic the nuts and bolts of what they need to know"
"It challenged my students to plan and work a budget. It allowed them a risk-free way to experience NSF, overdrafting, and late fees." "My students always like hands-on projects and this is very much hands-on." "I like how is gives them a real glimpse into what paying bills is all about." "Realistic, easy to use, easy to integrate into my class time." "It is a great eye-opener for many, especially how late fees can add up from not paying bills on time"
"I like it because of how long it is. Students get a feel for real life because it has continuity"
"The Budget Challenge provided another method of teaching students about important financial topics such as banking, investing in a 401(k), credit card usage, etc. The students absorb more information when they know they are learning it in order to make a selection in the game. I used it as a supplement throughout our finance class. I found that as I covered the financial topics in my curriculum I was able to relate it to something they had experienced in the simulation and it seemed to make more sense to them. "I am a huge fan of using Budget Challenge in the classroom. It allows students hands-on experience with money management. Students are able to learn by doing, which is much more meaningful and impactful." 92% said they were more likely to check their account balance before writing a check. 89% said they were more confident. 91% said they were more aware of money pitfalls and mistakes. 87% said they were better able to avoid bank and credit card fees. 84% said they were better able to understand fine print and 79% said they were better able to compare financial products. "This simulation has prepared me for life, so I do not end up in this situation when I am off on my own, and I thank you for that. The simulation has honestly changed my life forever." "Through the simulation…I had my fair share of mistakes and errors but learned a lot not only about budgeting but about myself as a consumer. Most importantly though, it felt real, like something I could apply to my own life." "Thank you so much for the opportunity to participate in Budget Challenge. Although it was a "game" with fake money and situations, it all felt so real. The real-world situations made the game feel like it was real life, which was honestly, at times, extremely stressful. However, without these situations the simulation would not have meant as much to me as it did." "My mother and I struggle financially. Every day is a challenge, and we are constantly prioritizing bills to pay, so we always leave one unpaid and deal with the consequences. The money just isn't there. I see how upset our situations makes her, and how disappointing it is for her that I can't have some of the nice things that my friends do. She knows how thankful I am for all she does for me, but it still bothers her. It is stressful for me to watch her struggle in silence, because she doesn't want me to worry about it. This simulation has prepared me for life, so I do not end up in this situation when I am off on my own, and I thank you so much for that. The simulation has honestly changed my life forever." "I feel more confident in my own ability to manage my money and handle my bills." "I know a lot more about financial consequences and necessities after the challenge." "I now understand much better the banking process, credit, and other financial terminology." "Before going into budget challenge I was not aware of how important it is to budget and what to do when it comes to budgeting. I am now aware of how to properly budget and improved my budgeting skills." "In the beginning, I had no idea what I was doing when it came to finances. It all seemed like gibberish. Now, I feel better about financing and I can feel like I am able to make a good budget in the future." The enhancements made to the program this year are some of the biggest improvements we've ever made to the program. For many years we have called ourselves the Road Test for Personal-Finance, but this year we actually outline six key skills that a student must perform in order to demonstrate financial capability. Teaching financial capability has never been done before, all other programs only teach knowledge. So now, the Budget Challenge Road Test works exactly like the road test for getting a driver’s license. Just like we never want to see a teen getting a driver’s license before they can demonstrate the safe operation of a vehicle, students now have a set of skills that they will need to demonstrate to show they can manage their personal finances. Students will also earn trophies for demonstrating a skill and achieving each goal. This is showing to improve student engagement. Each individual goal is relatively simple, however, since this simulation has structured them to have the same interconnectedness as you see in life, student gain a deep appreciation of the nature of financial trade-offs and how budgets are essential to balancing often-times competing goals. 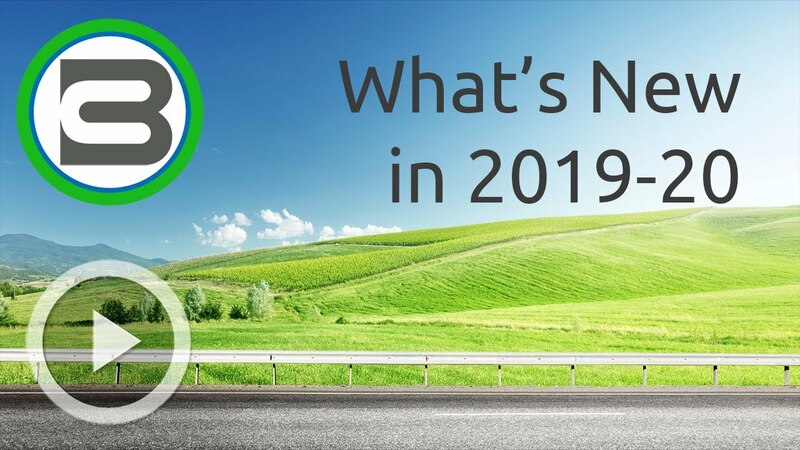 There are several other enhancements new for this year that I'm excited to share with you. The student dashboard has been reorganized to have more information in one place, reducing the number of pages students need to head to check account balances and pay bills. The teacher dashboard has similar reorganization improvements and has much more information about the class all in one place. 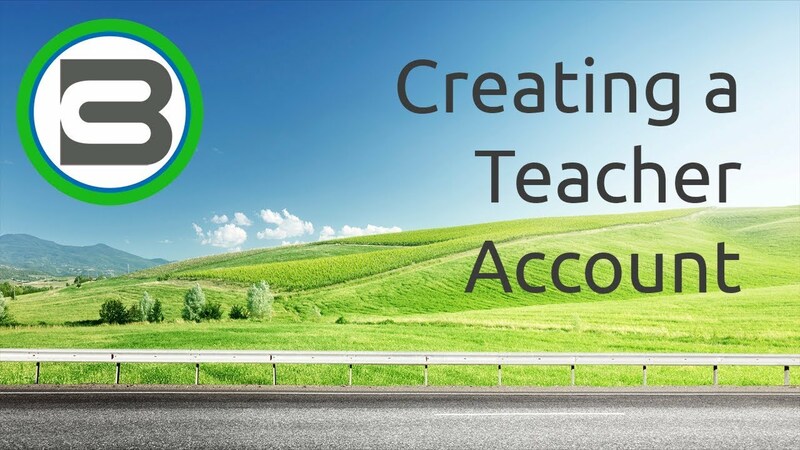 Our curriculum and assessments have been improved with the help of an educational consultant and they are now presented in such a way that they work for both teacher-driven and self-guided students. The curriculum is included at no additional cost to all simulations and teachers can elect to use it or curriculum from another source. It's also worth mentioning that we continue to be the only program that shows students how to avoid real-world mistakes and costly fees before they venture out into the real world (with real money). This lays the foundation for why an investment in Budget Challenge is a sound one with a positive ROI. If each student only avoids one ODP charge at the bank, then Budget Challenge more than pays for itself. Budget Challenge® is a personal finance simulation and integrated curriculum played as a competition over ten weeks. Students receive paychecks and bills in real time and are challenged to build a budget that allows them to pay their bills on time, manage their credit card balance, and save money for retirement in a 401(k). The simulation does not use real money but is extremely realistic including features such as online bill pay, direct deposit, email bill alerts, 401(k) paycheck deductions, late fees, utilization penalties and more. What are some suggestions for a successful implementation of the program? How do I enter the weekly giveaway? Teachers that register after December 2, 2018 are automatically entered in the weekly giveaway at sign up (unless they unchecked the box for the contest at the bottom of the sign up form). Returning teachers and teachers that registered prior to December 2, 2018 can enter the giveaway by updating their profile at Teacher Home>Your Profile. View the Giveaway Terms and Conditions. Using a promo code is easy. Just enter the promo code on the "Create a Class" form at Teacher Home>Create a Class. Whether you are paying for the students to play or if the students are paying individually, the price is set at the class level and discounted to the promotional rate. Registration is easy. You can register by clicking the "Register Today" button above, or go to Sign Up. Fill in the simple form. Once you have created your Budget Challenge account you can create a class for the challenge year. How do you pay for Budget Challenge®? Budget Challenge has flexible payment options. Teachers can choose for the class to be either Student Pay or Invoiced to the School. 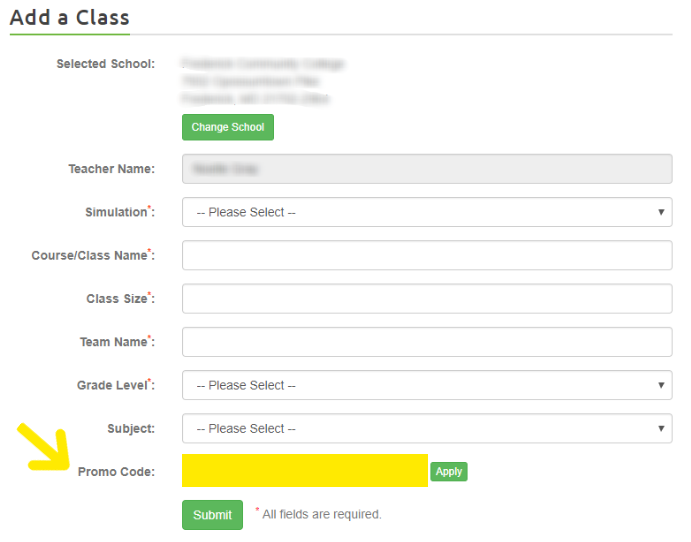 After you sign up for a teacher account navigate to Teacher Home>Create a Class and provide the information requested to select your school. Select “Invoice the School”. Then click “Request Quote”, complete the form and click submit. You will receive a quote via email within one business day. Return the authorized quote with a signature (email or fax). Within one business day of receiving the signed quote, you will be notified via email that your class has been identified as “invoiced” and you can now create your class. Then click “Create a Class” and acknowledge each student will be paying $25 when registering. Then select the simulation dates, complete the form, and click “Submit”. 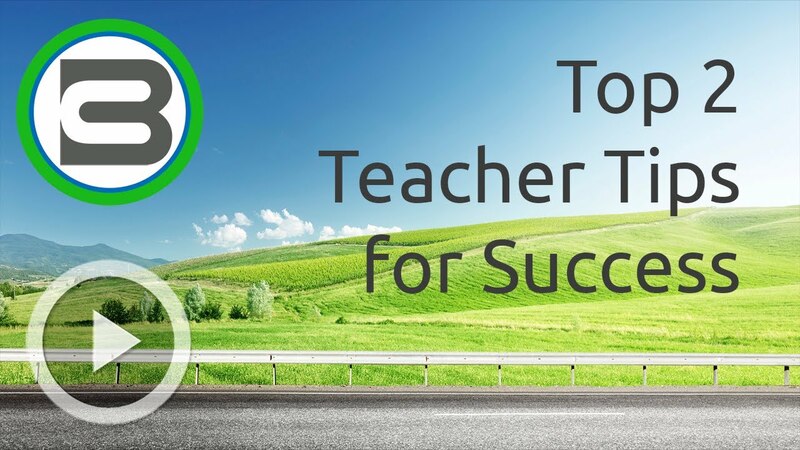 New Teachers – Click here to Pre-Register and "Save your Spot" for the 2016-2017 simulations. Click here or go to hrblock.budgetchallenge.com/SaveMySpot.aspx and login using your username and password from the 2015-2016 school year and click "Save My Spot". 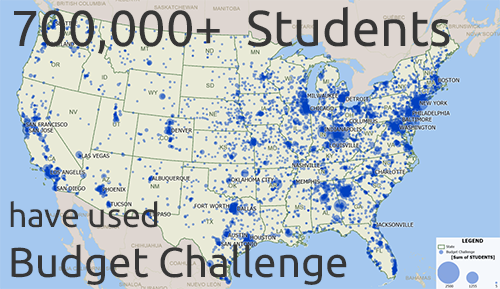 How can Budget Challenge® be implemented at the college level? The program is student driven and therefore can be used as part of a course (ex: personal finance, business management, etc.) or a standalone program as part of a first-year experience, a program offered by the financial aid department, or another campus organization (student government, Greek organization, etc.). The teacher/professor’s only commitment is to provide the class code to students for registration. Once a student creates an account and the account is paid for (see “How do you pay for Budget Challenge®” above for details on payment options) they have direct access to the game and the curriculum. Teachers have access to the curriculum, assessments, and individual student scores, but are not responsible for delivering the material. What is the time commitment for the teacher/professor? The teacher/professor’s only commitment is to provide the class code to students for registration. Once a student creates an account and the account is paid for (see “How do you pay for Budget Challenge” above for details on payment options) they have direct access to the game and the curriculum. Teachers have access to the curriculum, assessments, and student scoring, but are not responsible for delivering the material. When registration officially opens, we will contact you via email with a link to the Create a Class page where you can login with your username and password and create your classes. Our program even includes a free mobile app as an option for students who want to pay bills with their mobile phones or other devices. The mobile app is provided for both iOS and Android devices. Students can access the app by clicking on Bank>Bill Payer App once logged into budgetchallenge.com or by going to the App Store or Google play and searching "Budget Challenge®".